When she learned that the first black-and-white bird had pellets lodged in its head, Stephanie Ellis was troubled by the discovery. But when a second common loon died a few weeks later from similar wounds, inflicted by what’s believed to be a shotgun, she was stunned. Ellis wants to raise awareness about the deaths of the birds because loons are protected under the federal Migratory Bird Treaty Act. They are also listed as a species of “special concern” in Massachusetts, due to their modest population. State Environmental Police are investigating the incidents, according to a spokeswoman. Killing a loon is an arrestable offense. AMY WEBSTER/EASTHAM VETERINARY HOSPITAL – A radiograph of a loon that was shot and killed on Cape Cod. 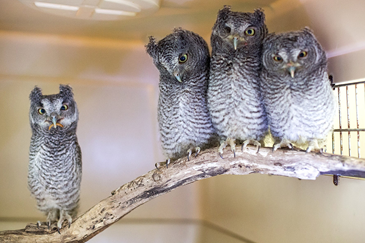 The deceased birds were taken over the weekend to Tufts Wildlife Clinic at the Cummings School of Veterinary Medicine at Tufts University, where they will undergo necropsies, the animal equivalent of autopsies. Experts hope the necropsies will provide more context about the shootings. By identifying the types of pellets, they can determine what type of weapon was used, if the shootings were accidental, and if the birds were shot by an inexperienced hunter. Ellis said the first loon was found on a beach in Truro in early February. The waterborne birds don’t spend time on land, and the animal was “wailing a cry” and easily approachable, so it was immediately clear it was in distress. After the loon was brought to experts at Wild Care, they tried to stabilize it, but the bird died days later. 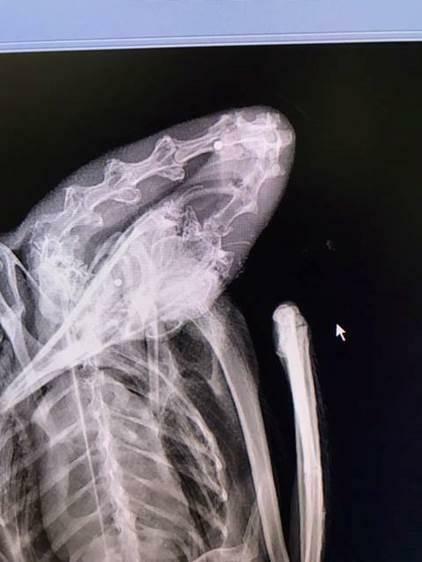 It wasn’t until the organization did an X-ray on the bird that the pellets in its head were found. 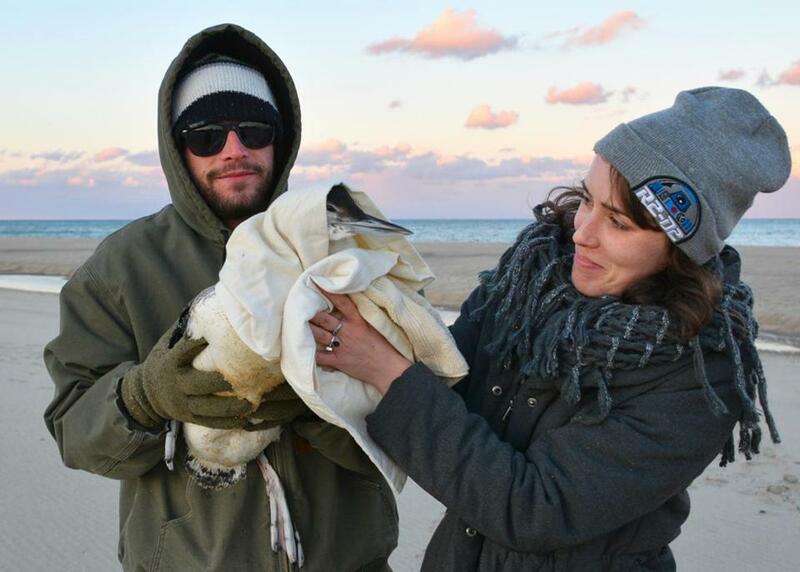 A few weeks later, a member of Wild Care’s team was called to the Cape Cod National Seashore’s Salt Pond Visitor Center in Eastham, about 14 miles from where the first bird was rescued. A woman had come across a second loon on land, and could tell it was suffering. When the loon arrived at the group’s Eastham facility it was “extremely depressed” and dehydrated. Rehabilitation staff gave the loon fluids, warmed it up, and provided supportive care, but like the first bird it succumbed to its injuries. Again, a radiograph showed pellets in the body: two in the head, and one in the neck. Staff must wait for an injured loon to be stabilized before taking X-rays because they are high-stress birds and react poorly to human contact. Wild Care has now made it a policy to take a “survey” radiograph as soon as possible when a loon is received. That way, staff know immediately if they’re dealing with pellets or an ingested hook. Ellis said it’s important for Wild Care to get the word out about the birds in case anyone has additional information. She’s encouraging the public to reach out to Environmental Police with any leads. NANCY BLOOM – Justin Dala and Carolyn Clough tried to save a common loon that was shot with pellets on Cape Cod. Steve Annear can be reached at [email protected]. Follow him on Twitter @steveannear.